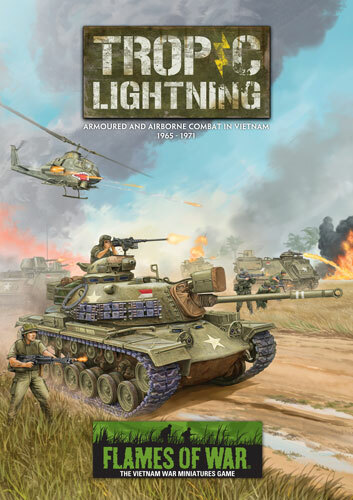 Battlefront’s full entry into Vietnam has officially begun with their release of Wargames Illustrated Issue 282 and the included 40-page Tropic Lightning: Armoured and Airborne Combat in Vietnam 1965-1971 army book. 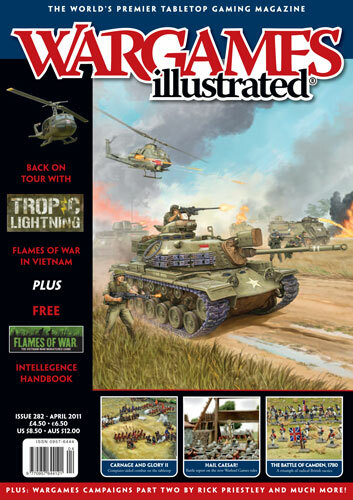 WI Issue 282 itself includes some nice material including a quick history of the Vietnam War with a look at the forces covered by the game, a battle report, a look at U.S. tracks and helicopters, and lastly a painting and markings guide. PAVN forces cover the Tiêu Doàn Bô Binh infantry battalion. This is the only force list on the PAVN side and variety comes from simply choosing among the various supporting forces. 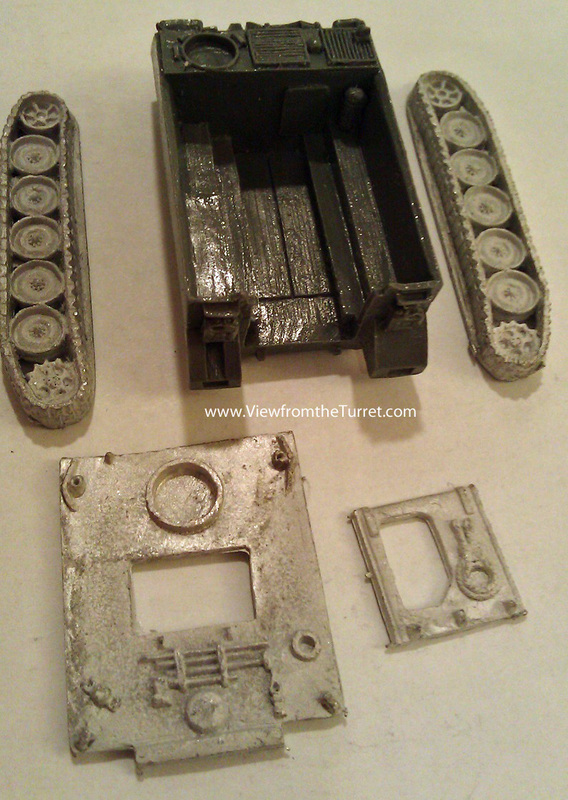 These include recoilless guns, mortars, anti-aircraft MGs, and sappers. 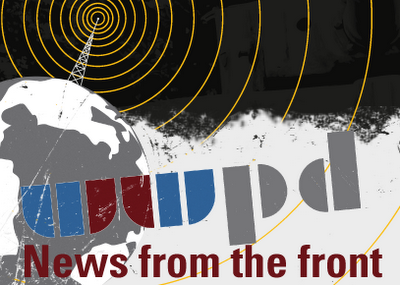 Booby traps, bunkers and minefields also play a big role on the PAVN side. The army specific rules for each side only take up a couple of pages each as well as a couple of pages for helicopter rules and booby traps. The only thing that seems to be missing is fast mover strikes (fixed-wing CAS) but one could argue those are out of scale for the game. 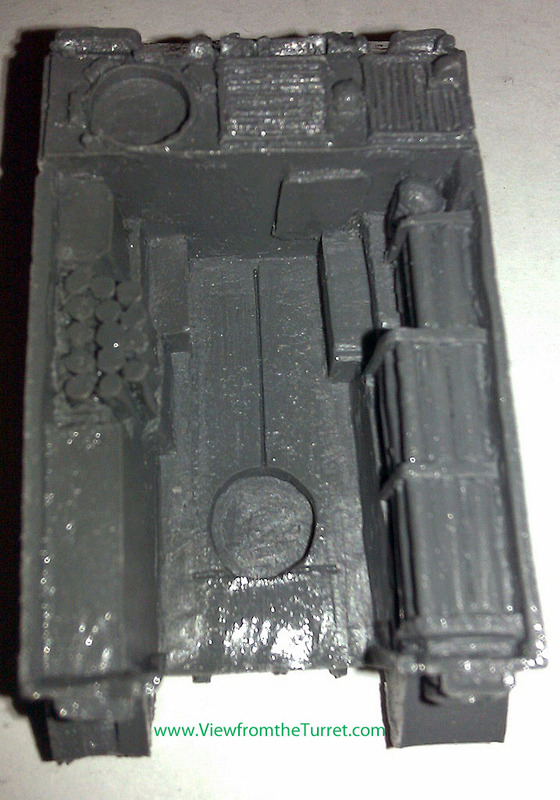 Thus seasoned Flames of War players will be able to get going with a minimum of work. Battlefront included the wave one model release schedule in WI282 (and they are now on the BF website). Basically the month of April 2011 will see all of the initial models released. 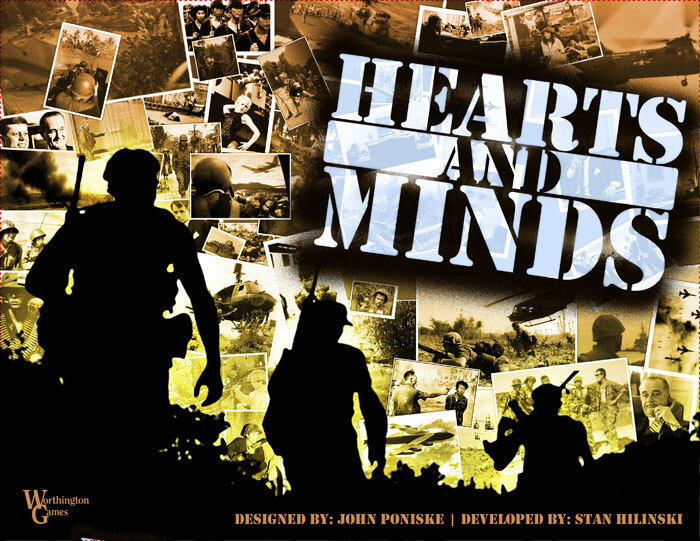 It will be interesting to see if anything new gets produced later this year although, besides the OH-6, we are not sure what they might release besides the M-109 and the M114A1, which are the only units in the book not listed for release, and perhaps U.S. supply trucks. Historically, the U.S. did have an odd selection of vehicles supporting supply convoys. The Radio Free Battlefront Episode 9 podcast has a great overview of Tropic Lightning by Evan, the game’s designer. 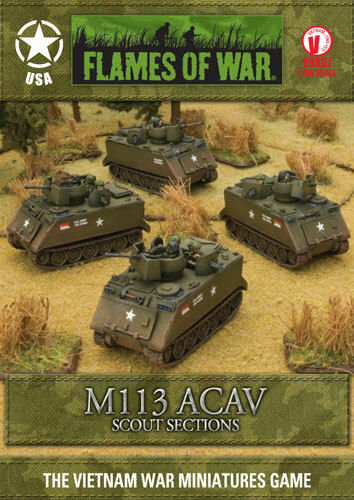 Also see Flames of War — M113 Series. 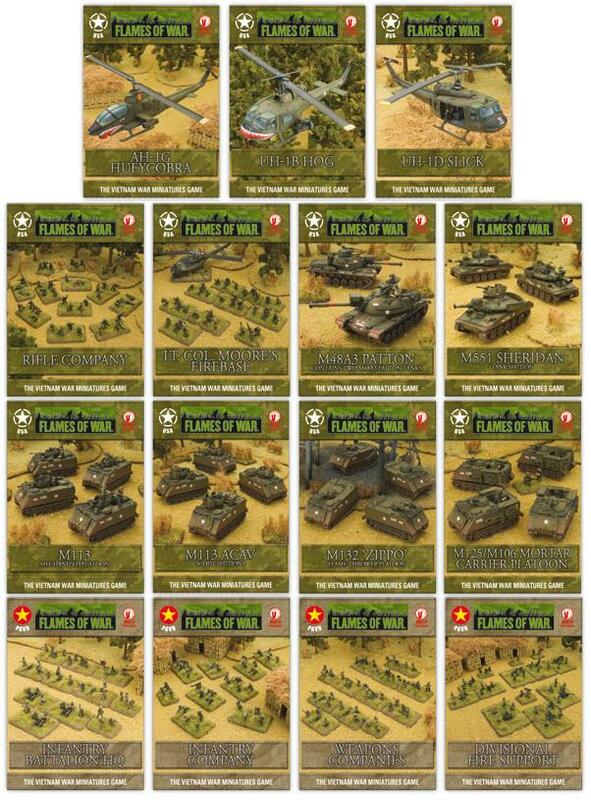 Also see Flames of War Vietnam — Is Back?! 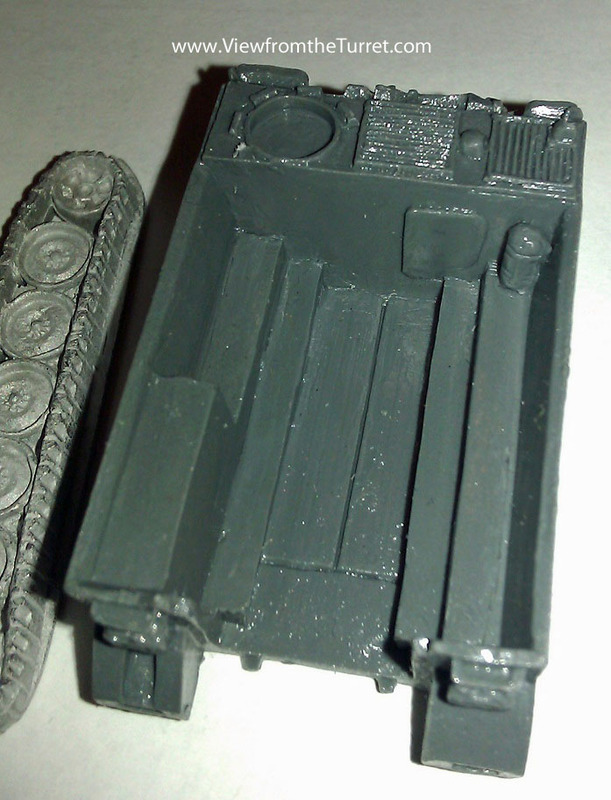 This entry was posted in 15mm, Flames of War, News and Updates, Reviews, Vietnam. 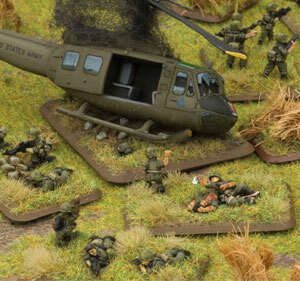 If you missed Wargames Illustrated Issue 266 you are in luck. WI has now posted all of the Vietnam material from that issue on its site. 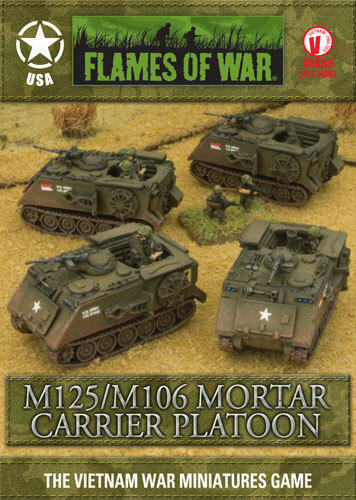 So if you can manage to get your hands on the miniatures you will have all you need to fight Vietnam battles with Flames of War. 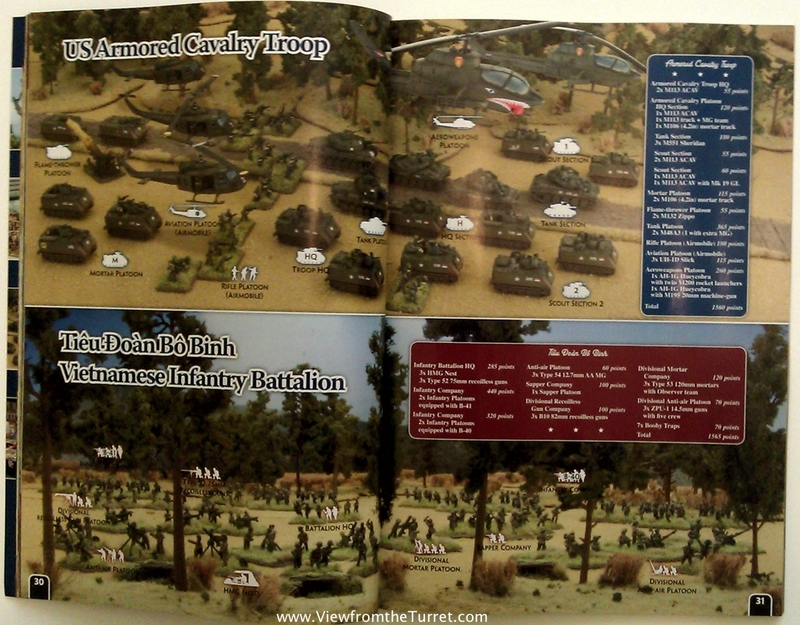 They also posted a Vietnam Color Guide and the scenario re-creating the Battle of Ia Drang itself.